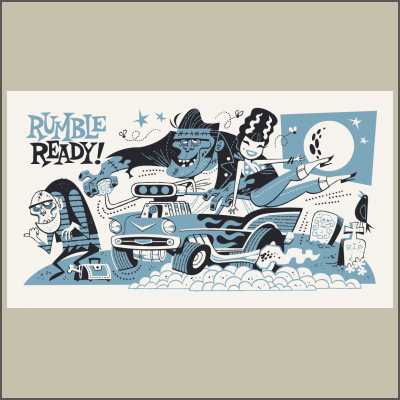 On your marks? Get this set! 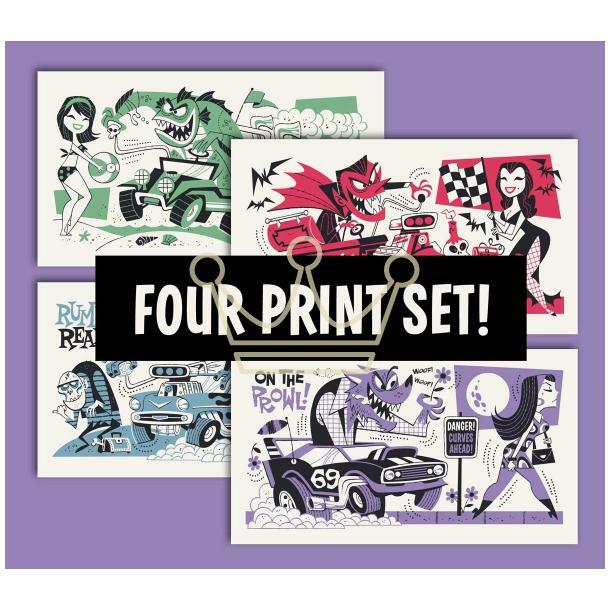 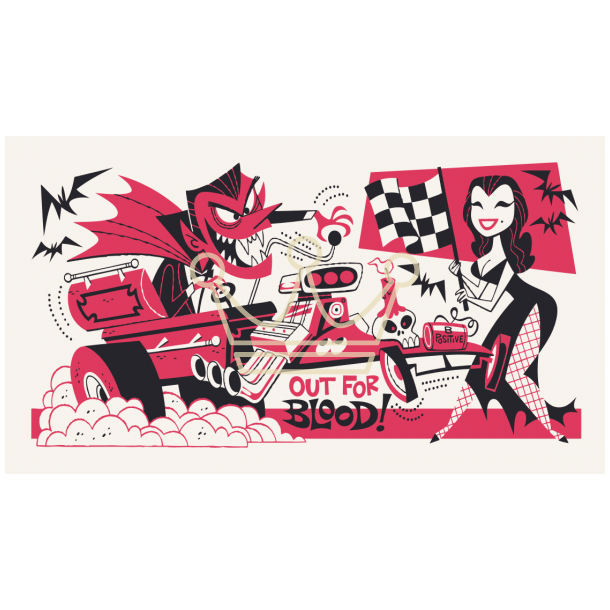 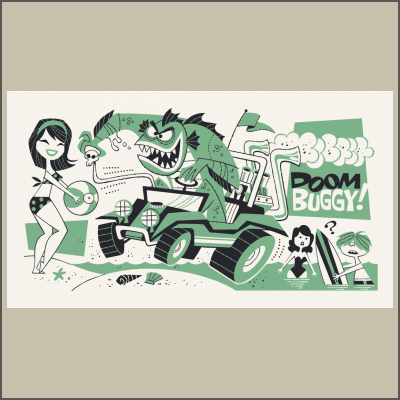 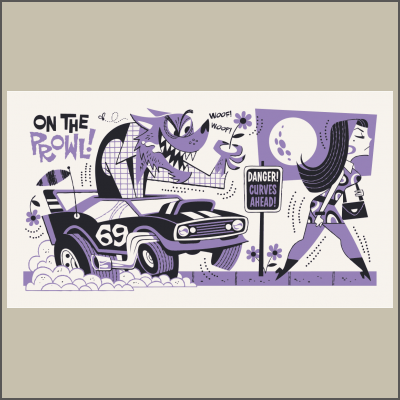 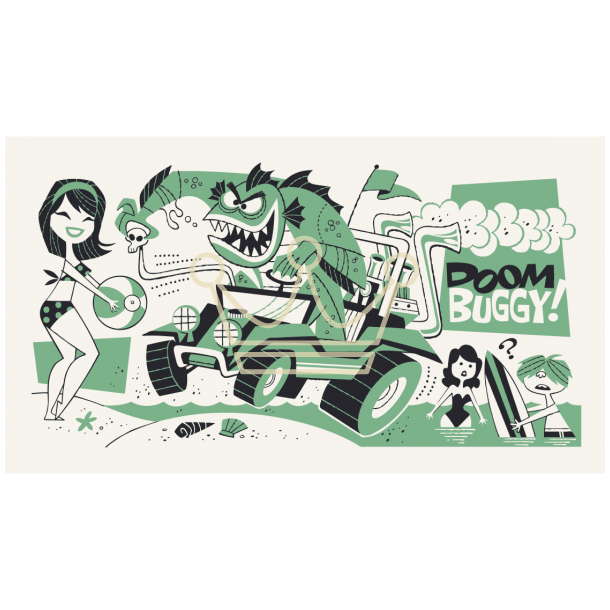 The Wolfman, Drac, Frank and the Lagoon Creature are on the move and ready to head to your pad by our own Derek Yaniger, this collectable digital mini print set of four is printed on archival paper and each print measures and impressive 16 x 9", all are signed by the artist.